Walton traveled to North Gwinnett Tuesday night for the Class AAAAAAA state semifinals, overcoming a large and boisterous group of Bulldog supporters to sweep North 25-9, 25-14, 25-20. The win sends Walton to Marietta High School this Saturday for the state finals, where the Raiders (40-3) will go for their eighth state title in nine years against the winner of the Milton-West Forsyth match. North eliminates Newnan in straight sets. Faces Walton in the Final Four. 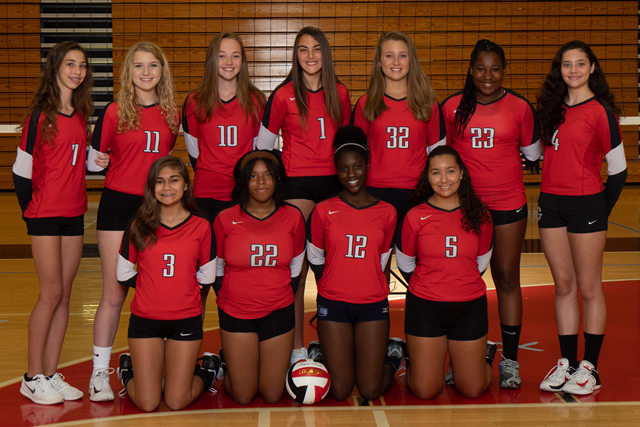 North Gwinnett advanced to the Class AAAAAAA Volleyball Final Four on Saturday with a 27-25, 25-19 and 25-23 win over visiting Newnan. The Bulldogs (38-7) used their team approach to dispatch the Cougars (25-16). North will host Walton Tuesday with a trip to the finals on the line. 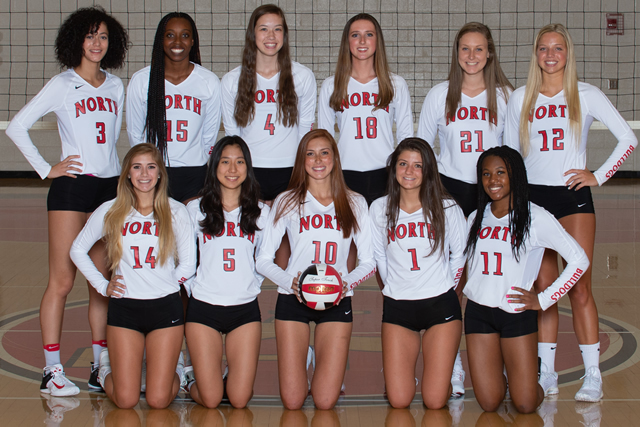 After getting bumped from the Class AAAAAAA state volleyball playoffs in the second round last season, North Gwinnett returned to the Elite Eight with an exciting 3-2 win over South Forsyth at home on Tuesday night: 18-25, 12-25, 25-21, 25-6, 15-7. They will host Newnan at North Gwinnett High School on Saturday, Oct. 27th at 4:30pm in the Elite 8. 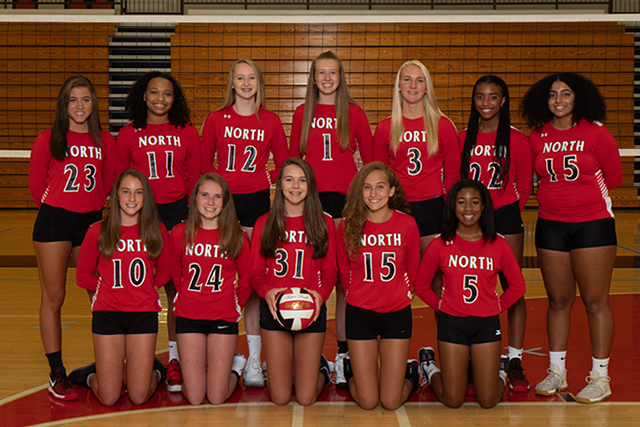 North hosted Parkview High School in the first round of the state tournament, defeating them 25-9, 25-20, 25-5 and advancing to the Sweet 16 on October 23rd. They will host South Forsyth at home at 5:30pm on 10/23. North ended Buford's 5 year reign at the top of Gwinnett County with a 27-25, 25-18 win over Hebron Christian Academy. KENNESAW — North Gwinnett went 4-0 at North Cobb’s Warrior Classic with wins over Lee Couty, Chamblee, Etowah and East Coweta on Saturday. Alexa Fortin led the Bulldogs (19-5) with 79 assists, five kills and 18 digs. Caitlin O’Farrell hammered out 32 kills and had 11 blocks. Malia Fisher (24 kills), Tatiana Morales (15 kills) and Ramey Salyer (14 kills) added to a balanced attack. Jill Tontillo finished with 52 digs, while Autumn Hamilton had 10 kills and nine blocks.